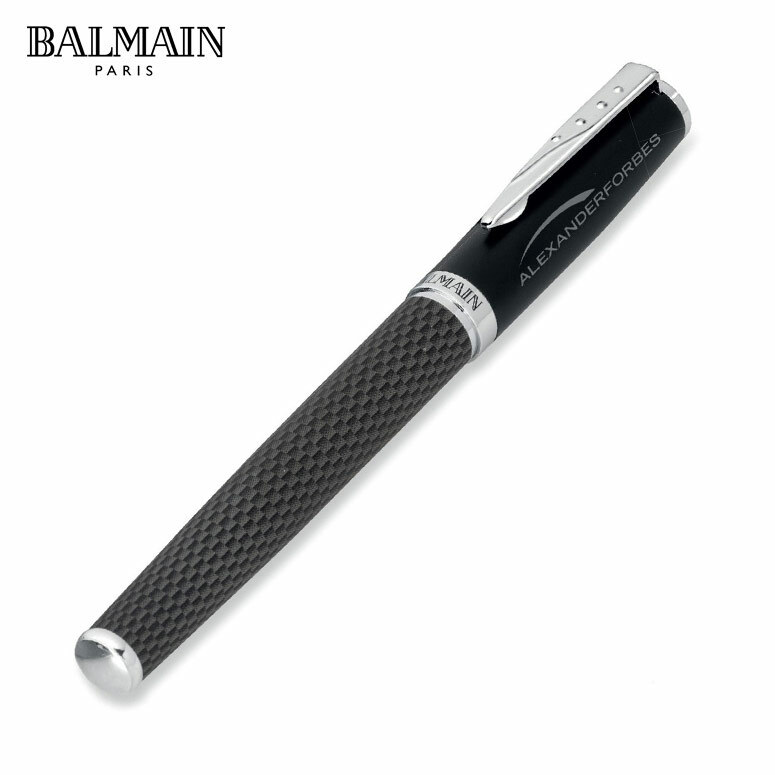 We supply these ultimate Balmain Pens in Cape Town and South Africa. 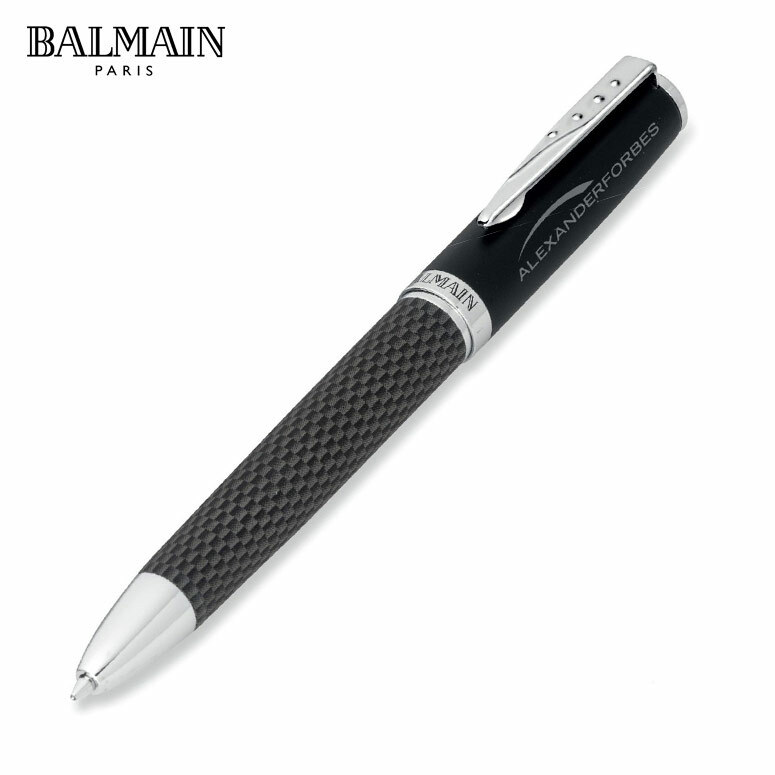 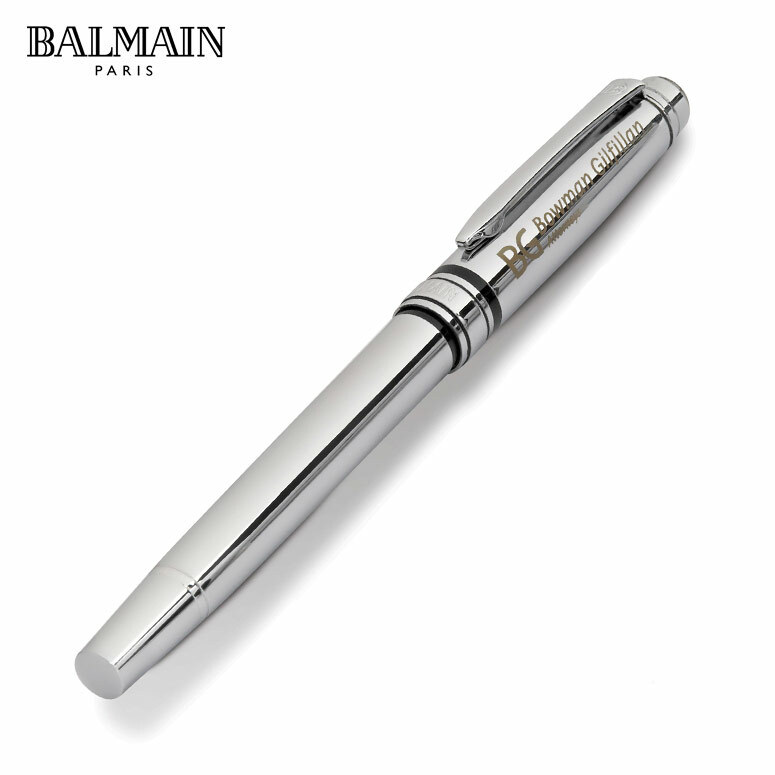 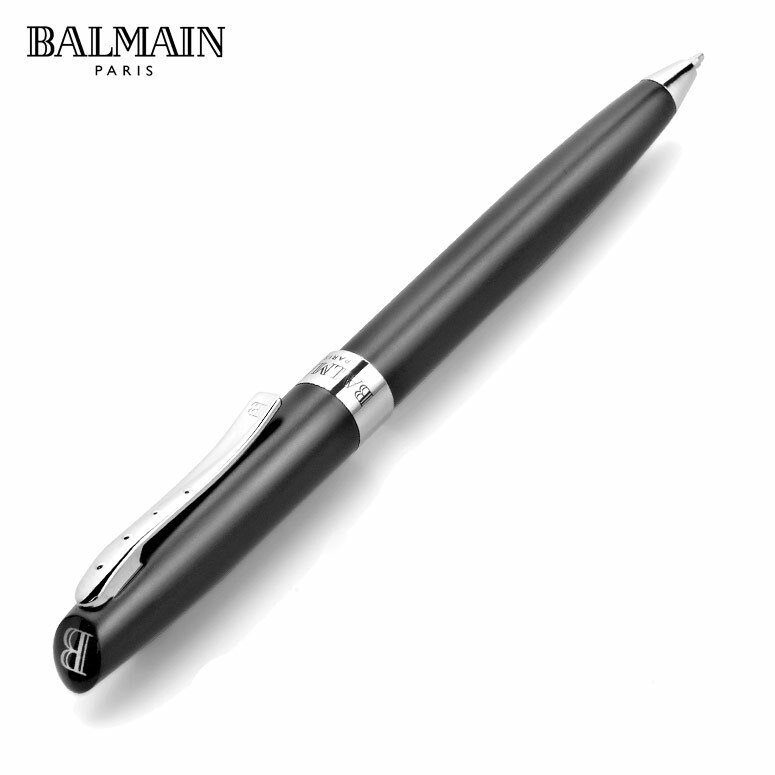 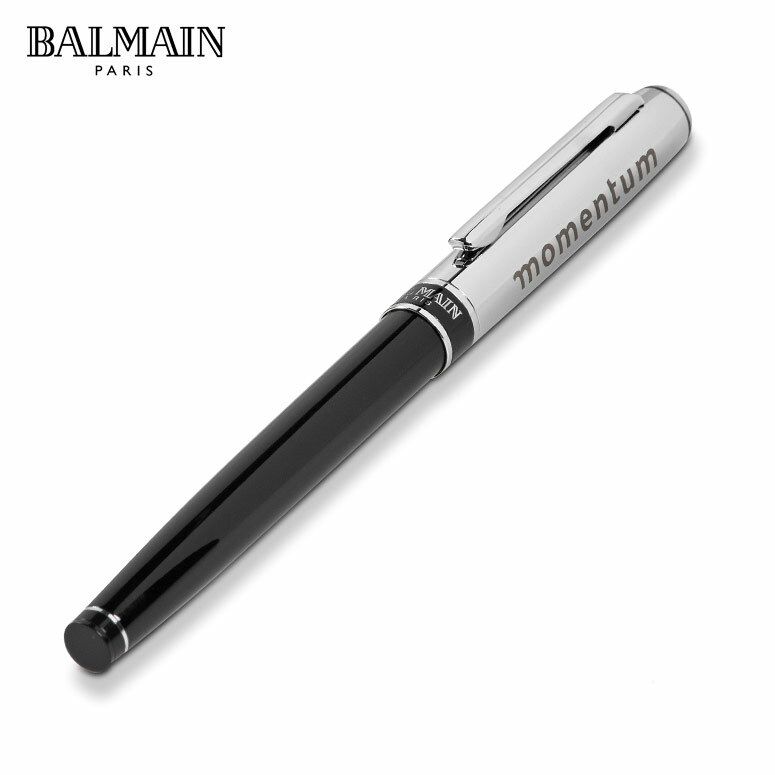 The Balmain Basic is a classic metal ballpoint pen, available in an elegant silver or black design. 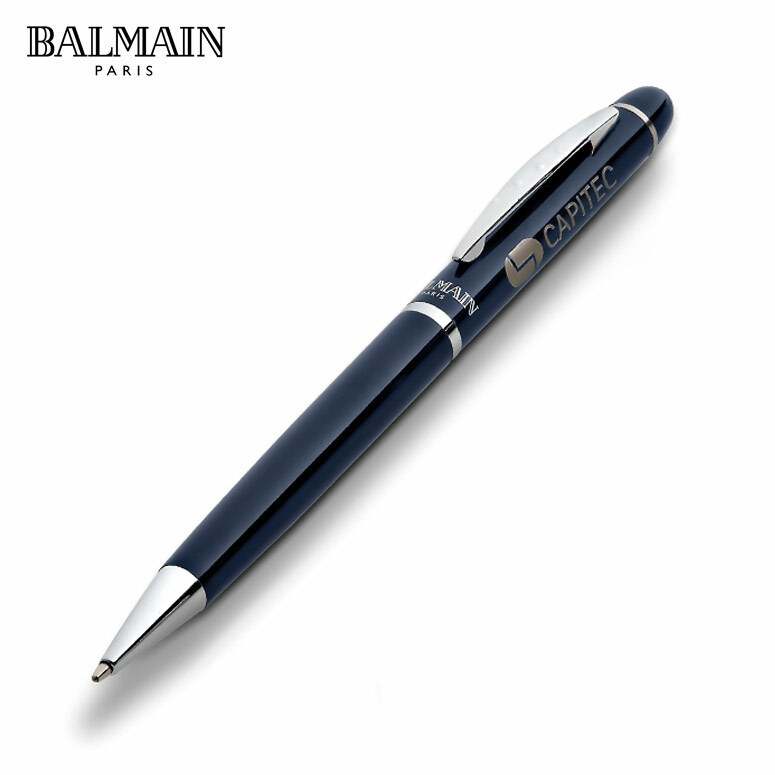 A classic look ball point pen, this great promotional idea for corporate gifting is an item that clients and customers alike will love and use daily. 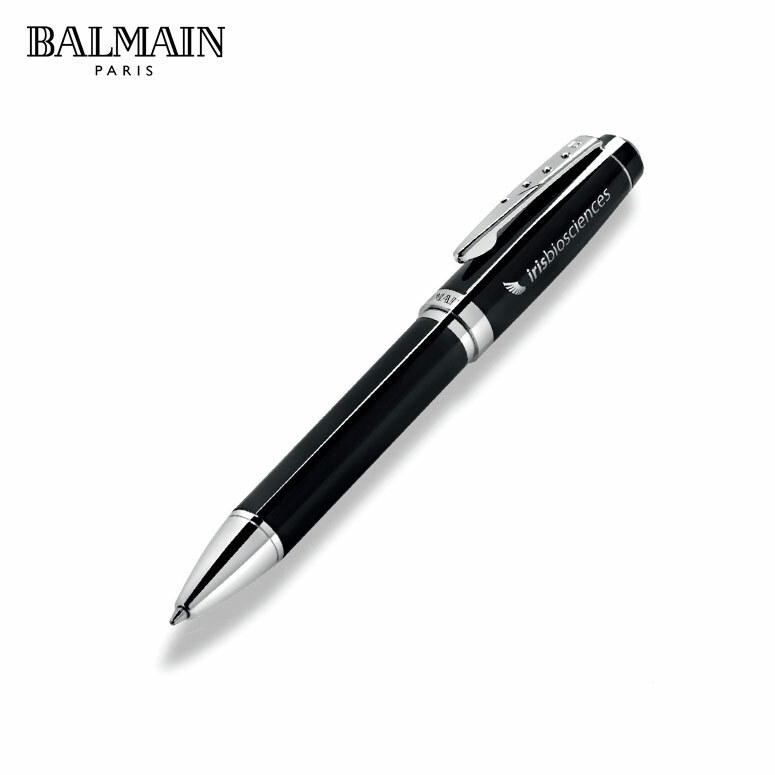 A great looking branded product, this executive pen is a status symbol in the office environment. A brilliant way to market your brand as well as give back to truly deserving members of your company, these pens serve as the ideal present that can be used on a day to day basis. 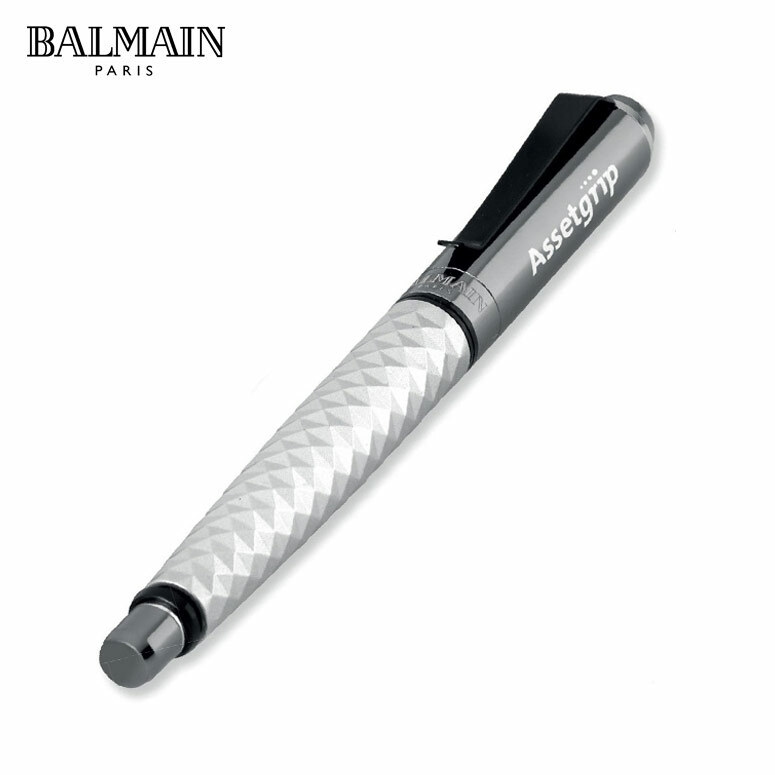 Whether in meeting or taking notes, the smooth action and high quality ink lend themselves to creating a pen worthy of carrying your brand name. 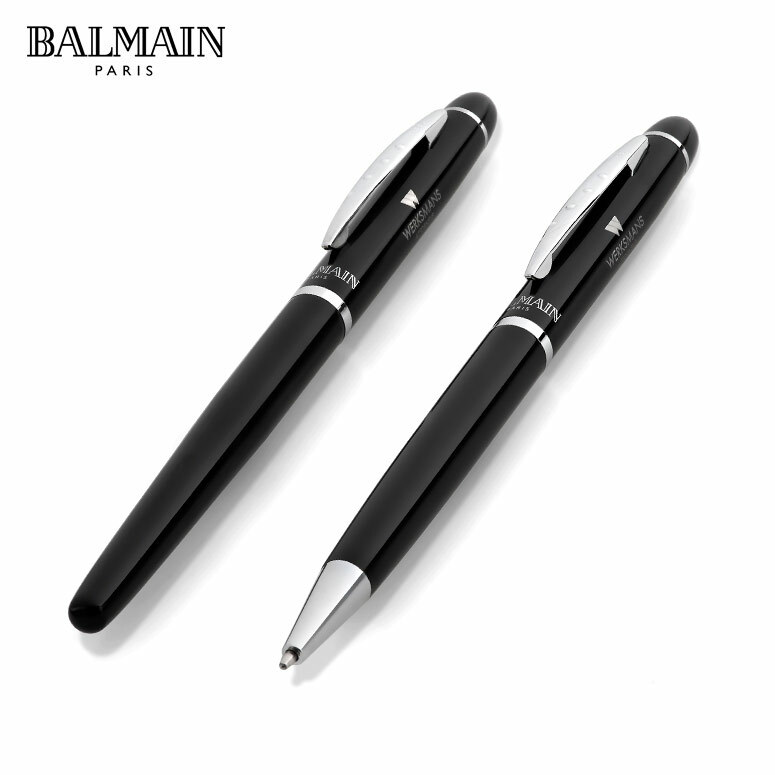 A wonderful addition to any businessman’s office arsenal, the stylish and comfortable Balmain Basic Ball Pen is the perfect way to show your appreciation. Also a great prize during promotional events, they serve as a wonderful way to reach your market directly as well as utilise everyday passive marketing strategies. 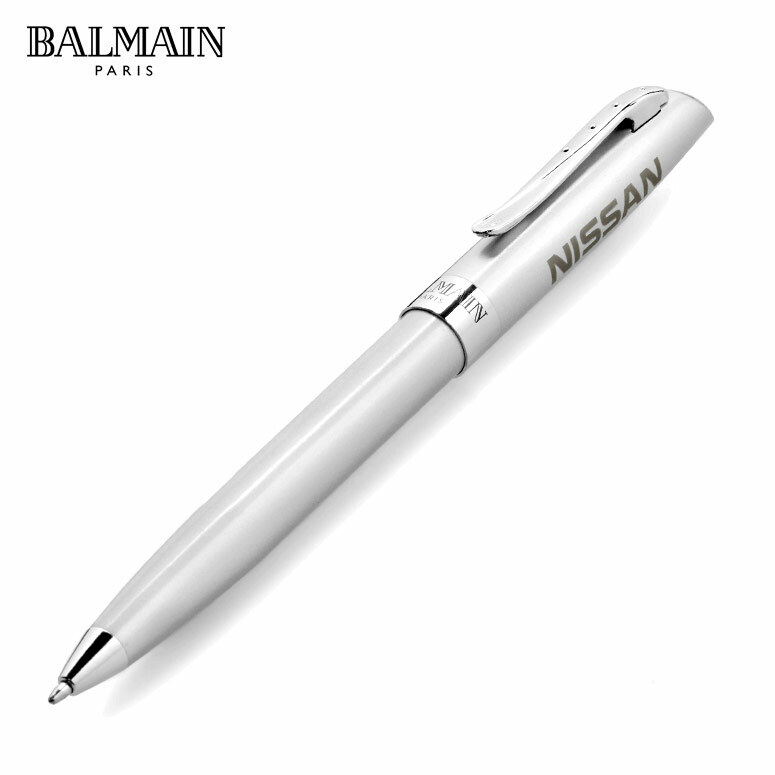 Give your clients and staff branded pens that they will love, fulfilling a daily use in a sleek and stylish way- what better voice to promote your brand than one that is renowned.